ASLE welcomes the participation of undergraduate students, many of whom are learning and conducting research under the guidance of ASLE members. In fact many ASLE members are on the faculty of department in the humanities and sciences in colleges that focus exclusively on undergraduate education. If you are an undergraduate student, we invite you to become a member of ASLE! We also hope that you will find inspiration in the field-defining statements of our members; learn more about our intellectual commitments through our member profiles; discover opportunities in our featured course and research spotlights; seek materials for education and enrichment in our resource pages and archives; imagine a path to graduate study by browsing our program descriptions; or simply experience the fellowship of people who celebrate the joy, wonder, and gratitude that comes from active engagement with the living world. 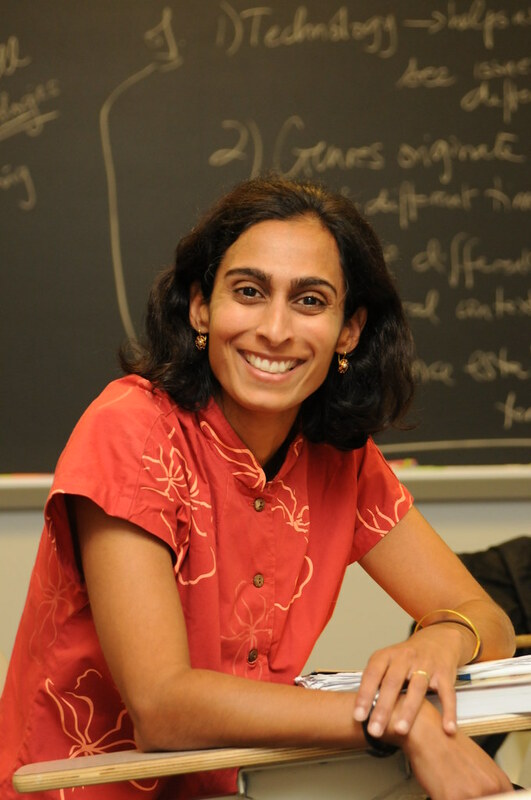 Salma Monani is the sole environmental humanities scholar and faculty member at Gettysburg College’s Environmental Studies Department. Her students, usually half or more of who are on the Bachelor of Science (BS) track, often enter her classes wondering what the humanities can lend to the study of the environment. From a seminar elective on food for first year students to the required “Introduction to Environmental Humanities” class for all majors, and from the upper-level electives “Environmental Film” and “Environmental Journalism” to a required capstone class for the majors, Salma enjoys exposing and engaging her students to the questions, ideas, and preoccupations of environmental humanists. What is nature? How do people communicate their ideas of nature? What does culture have to do with nature? What is culture? Who imagines and who constitutes the environment and environmental culture(s)? The last question is one of particular importance to Salma, whose research interests explore environmental intersections with concerns of race and ethnicity. Along with exploring historical, cultural, and geopolitical systems that afford some races and ethnicities environmental privileges and metes out injustices to others, Salma’s students also consider with how difference—including of categories like class, gender, sexuality, species, human and non-human—figure into environmental cultural imaginations and material impacts. While classes hone in on the particulars of such concerns through course readings, discussions, field trips and research projects, Salma also engages students in independent research. From analyzing wildlife films because of a deep love for both film and the outdoors, to engaging in the discourse of community food and public health because of a strong commitment to social justice, students at Gettysburg choose to work on year-long thesis projects, publishing peer reviewed papers, or producing award-winning caliber films. “Healthy Options: A Community-Based Program to Address Food Insecurity” is the result of work Salma conducted with her student Emily Constantian. And one of Salma’s former students, Brian Kelley, has moved on from Gettysburg to become a filmmaker, cinematographer, editor for LinkTV’s Earth Focus, and is a graduate of American University’s Master’s film program. Teaching in an interdisciplinary department, Salma draws often from her own interdisciplinary background in the humanities and the natural sciences to instill in her students not just an appreciation for environmental complexity but also an ability to recognize difference and embrace it critically and passionately, and hopefully also with a sense of humility and humor. To learn more about Dr. Monani’s work in the environmental studies department at Gettysburg College, visit her website.